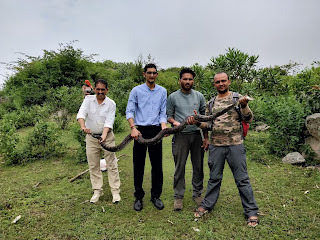 8 feet long Indian Rock Python. I was told by Ratan Singh a resident of Oriya Village approx 10 km from the town. In his farm land his mother spotted a huge big snake ,she spoke to her son and then rescuers. 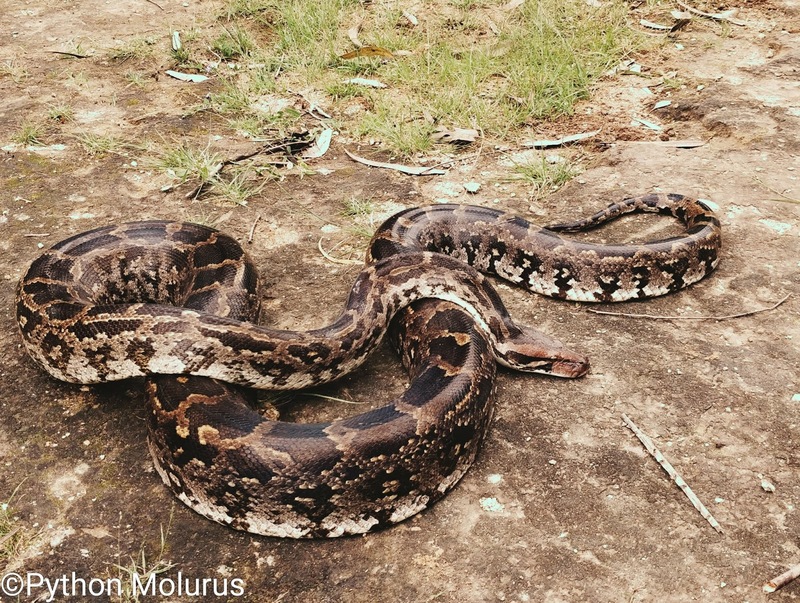 Pythons are known for construction and non venomous.